In All Talked Out J.D. 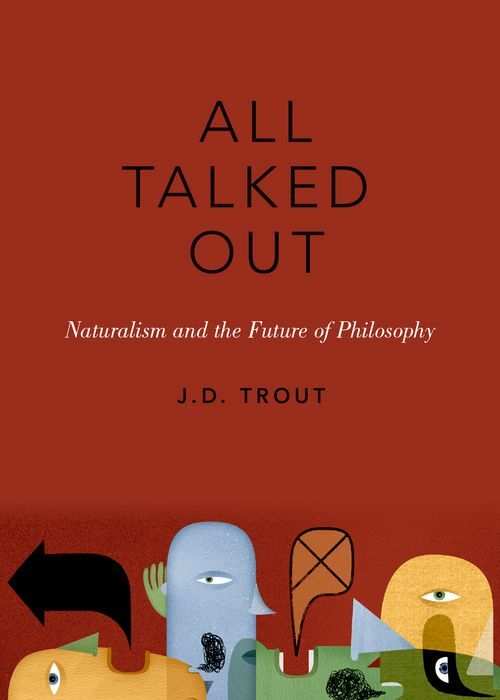 Trout exemplifies the power of science in a philosopher's hands, and takes a welcome look at the resulting fate of philosophy. Based on his 2013 Phi Beta Kappa Romanell Lectures, each chapter presents a novel and positive view of intellectual advancements with respect to traditional topics in philosophy, and explains why these achievements occurred despite the archaic and often retrograde influence of philosophical doctrine and method. Together, these two lines of inquiry lead the reader to understand that while foundational reflection remains as necessary as ever, philosophy, as it is conceived of in the halls of academia, no longer adds anything distinctively useful. At its best, philosophy is a place to grow new ideas. But many other disciplines can provide such incubation. At the same time, however, we don't have to kill philosophy; but we do have to figure out what is worth preserving. Following a spirited introduction, the first lecture takes stock of the growing field of evidence-based approaches to reasoning, and in light of these scientific developments, criticizes important failures in epistemology as it is currently practiced in the English speaking world. The second lecture examines the psychological impulse to explain, the resulting sense of understanding, and the natural limits of cognitively appreciating the subject we have explained. The final lecture presents the proper reaction to the idea that scientific evidence matters to responsible governance. J.D. Trout is Professor and John and Mae Calamos Endowed Chair of Philosophy, Illinois Institute of Technology, Chicago, IL.